New York Governor Andrew Cuomo’s long pivot towards cannabis legalization came to a head at the close of 2018. In mid-December, the Governor who once considered cannabis a gateway drug announced his emphasis on legalizing adult-use cannabis in the state. Cuomo went so far as to call on lawmakers to legalize marijuana within a busy first 100 days of the Governor’s third term in office. Well over 60% of New Yorkers support legalization for scores of reasons. For Governor Cuomo, the reason is mainly driven by criminal justice reform. The move would be part of a proposed justice agenda that also focuses on stronger gun control laws. Since the announcement, New Yorkers have waited to learn more about the proposed cannabis plan. On Tuesday, January 15th, the Governor released additional information about his administration’s plans during his State of the State address. The excitement was clearly felt right at the top when the Governor opened by proclaiming that 2019 was going to be a great year. Cuomo’s plan centers on an environmental plan referred to as the Green New Deal. This is not to be confused with Rep. Alexandria Ocasio-Cortez’s Green New Deal. Though, both plans do have overlap when it comes to environmental. The Governor’s plan to legalize adult-use cannabis hopes to come within the first 100 days of the year. However, a jam-packed agenda consisting of, but not limited to, women’s equal rights, criminal justice reform, broadband internet for all and election reform could bog down the efforts. Cuomo went on to touch on a few key topics of the plan. Highlighting the list was once again criminal justice reform. With legalization, communities of color should feel less of an impact concerning criminalization; which currently affects these communities at rates of 8:1 to white communities despite similar usage rates. The plan also aims to correct some past wrongs in the justice system by automatically sealing certain cannabis arrest records. 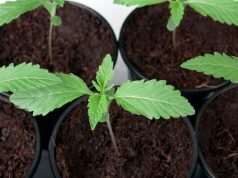 The plan also believes that it will provide quality control to a market that can only regulate medical cannabis consumption under the current laws. It was also announced that counties and large cities could opt out of the program. This option has not sat well with some State Senators. In a tweet, Julia Salazar, representing the state’s 18th District, called the option unacceptable. A marijuana legalization proposal that allows counties & large cities to “opt-out” of the regulations that would empower directly impacted communities is unacceptable. New Yorkers have been enormously harmed by criminalization. Alleviating that harm must be our top priority. 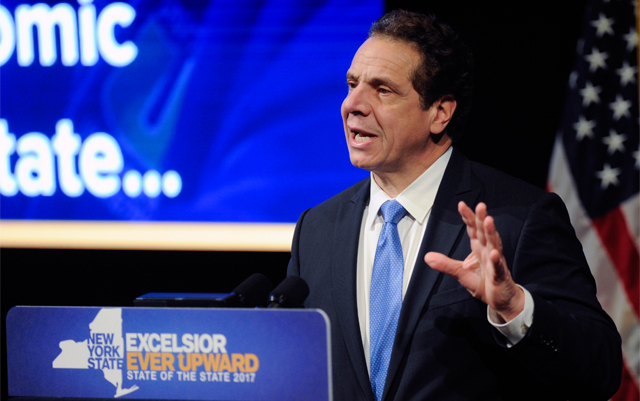 Closing out this portion of the address, Governor Cuomo projected the state would earn $300 million in tax revenue, though no timeline was specified. The plan should also create “good union jobs that we need”, according to Cuomo, though no numbers were projected during the address. Some had hoped that Cuomo would use the address to speak more to specifics related to the program. That said, a packed agenda left the Governor little time to go in-depth on most topics during the nearly hour and a half speech. However, more details were made available in the Governor’s fiscal year 2020 executive budget financial plan. The prospects for legalization appear to be in the state’s favor. With Massachusetts already luring New Yorkers across the border for legal cannabis, the pressure is on. With the impending legalization in New Jersey, New York lawmakers understand that a significant sum of money will be lost as long as the state is bookended by neighboring legal states. 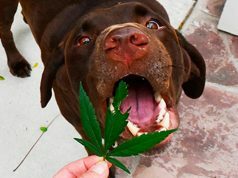 Speaking of state lawmakers, legalization hopes received a significant boost when the 2019 session of Congress began. For the first time since 2010, Democrats gained full control of the state government. This should all but ensure that New York’s agenda for cannabis and several other subjects remains progressive until, at the very least, the next elections are held. Governor Cuomo’s insistence on cannabis reform is a stark contrast from the Governor of just a year or two ago. However, the change has cannabis near the top of the list of priorities during his third term as Governor. Passing the law within the first 100 days could be difficult with a large sum of high-priority legislation on deck. That said, cannabis legislation means criminal justice reform and additional income for the state. It is likely that the multiple benefits associated won’t be lost on Cuomo or other state lawmakers. Only time will tell if this comes to fruition in the first 100 days or in 2019 at all. Should have elected Cynthia Nixon.